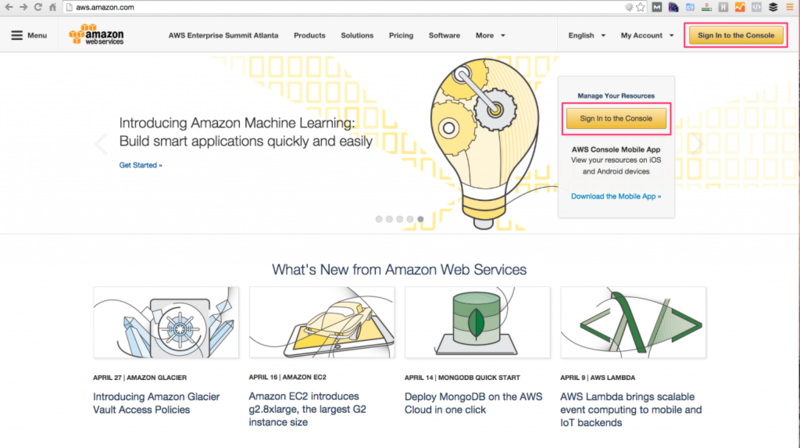 After reading this article you are going to have WordPress on Amazon EC2. Additionally, I am going to go over how you can make WordPress on Amazon EC2 easy to use for less technically inclined parties and how you can use S3 and /or cloudfront for hosting all of your images. While we are at it, we are going to also install Cloudflare. My preference is to use RDS, which is Amazon’s DB as a service. Please note this is a bit more expensive than using a single instance to host your web and database server, but I prefer the flexibility. Some caveats before you continue reading. This is not an easy to use hosting solution. If you are not comfortable using the terminal, or don’t know what the terminal is, this solution might not be for you. There will be no cpanel or graphical interface. If you are looking for a more traditional WordPress setup, checkout bluehosts one click WordPress installation. I only have five minutes, so let’s jump into it. Remember, the goal is WordPress on Amazon EC2. Follow along and you will end up with much more. I promise! Create / login to your AWS account. You can login here: http://aws.amazon.com/. If you do not have an AWS account sign up for one and go through the validation process, which will include a phone call. Step 2. Create a key pair. Lots of options. Its ok. You’ll never use most of them. Click on a key pair link, there are two on the screen, either one will work fine. 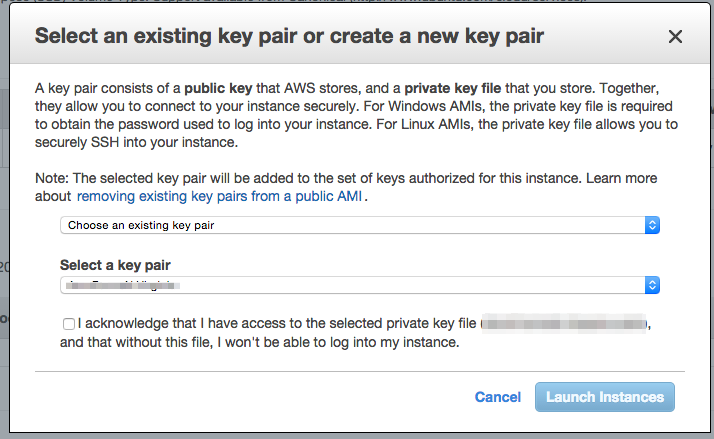 Key pairs are required to login to your EC2 instance. Click on the Create Key Pair button and name your key pair, use something descriptive and click create. Still with me? Keep going. Once completed a .pem file will download to your computer. Now might be a good time to move the file to an easy to use location. Preferably somewhere you can easily access from your terminal. 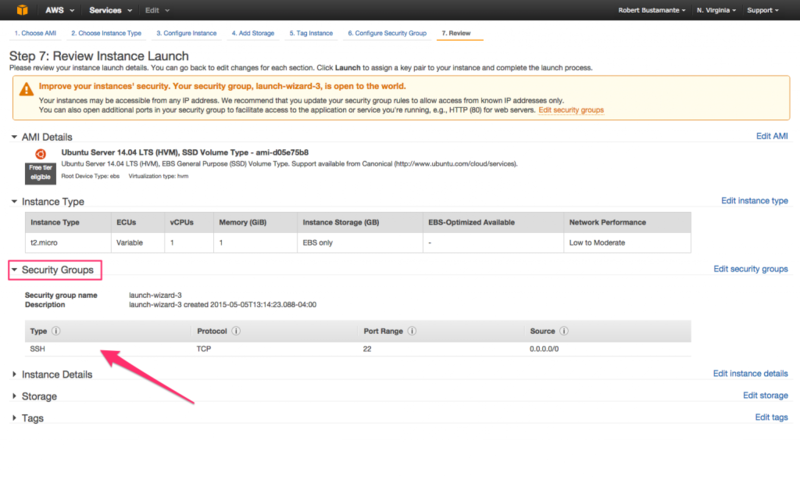 Head back to the main EC2 dashboard and click on the Launch Instance button. My preference is ubuntu, but I will do my best to make the instructions apply to all of the different options available. Select the instance type. I am staying away from the micro instance (free tier eligible) as I have had trouble at this size when you start getting some traffic. The micro instance is great if you are just getting started or if you are just playing around with EC2, etc. I am going to select the t2.small type instance and then click the next: configure instance details button. For now I am not going to change many of the default settings. I do like to go through each step so I can see each of the options in the event I need to change it later or the next time I launch an instance. When configuring the security groups, you can use the quick launch, which will provide you with a few default options. You want to make sure that you have SSH and HTTP available from anywhere. Please remember this is a quick start / first step tutorial. Some of these settings might not be appropriate for production environments, etc. Consult your security experts where applicable. When you are ready click on the launch button. In the first drop down select choose an existing key pair. Once done you will see the launch status page and can follow along as your server is provisioned. If you were not following along with the directions you can always add a key pair now. Choose wisely. No going back from here. Similar to EC2 you are going to launch a new DB instance. Start by clicking on the RDS service from the services drop down. Once on the dashboard, click on the Launch DB Instance button. So many services to chose from. I am going to use mysql, but the instructions are similar across all the different engines. RDS is expensive, Multi-AZ deployments are even more expensive. I know it is not recommended, but, I have been running all my production database instances without Multi-AZ deployments. I have not had a problem yet. Try the difference for yourself. Multi-AZ has not made sense for me. Select the DB instance class. I have been able to get away with hosting instances on the micro size. If you have existing traffic, this is not recommended, but as a test you can use the smaller size and scale up later. On the next screen setup the details for the DB including connection details. Similar to the EC2 instance you are going to have to allow access to the RDS instance. Make sure you can access your DB. Back at the EC2 dashboard, find the instance you just launched. Note the public IP address. Replace keyname.pem with your key name and ip address with the public ip address of your ec2 instance. If you want to ensure that all settings and commands have worked up until this point, navigate to your public IP address in your browser. 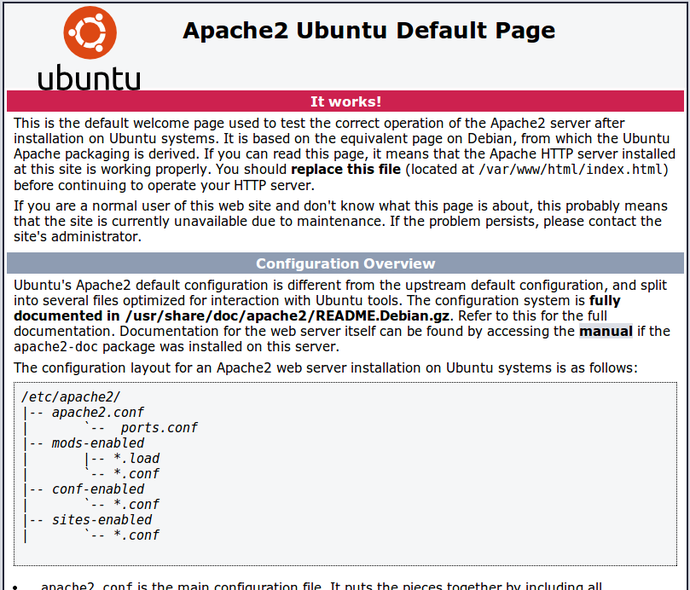 You should see the apache2 ubuntu default page. Kind of boring, but exciting at the same time as it is working! If you are not seeing this page you have made a mistake somewhere along the way and it is time to review the steps. My guess is that your instance is not publicly available to http traffic, or you have not properly installed apache. Try rereading those steps to ensure you did not miss anything. Once done you will want to ensure that php is working properly. From the terminal navigate to /var/www/html then delete the existing index.html and create a new file, index.php. click escape and then :wq to write and quit the file. 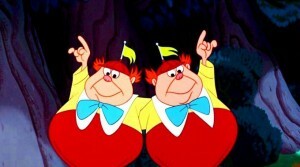 Now navigate back to your public IP address and you should see a standard php info page. You should now have a new folder in the directory named wordpress. Depending on where you want to serve your wordpress install from you might want to move the folder around. For instance, if you like using a blog subfolder you might move its contents into a /blog subfolder. Now let’s update the configuration files with our database information. Vi into the file, vim wp-config.php. Update the following lines with your information. If you are using RDS, your DB_HOST value should be the endpoint you see in your RDS dashboard. copy and paste the values into your config file replacing the empty values. Head back to your browser and navigate to the root of your wordpress install. You should be greeted with the wordpress installation page. Congrats! 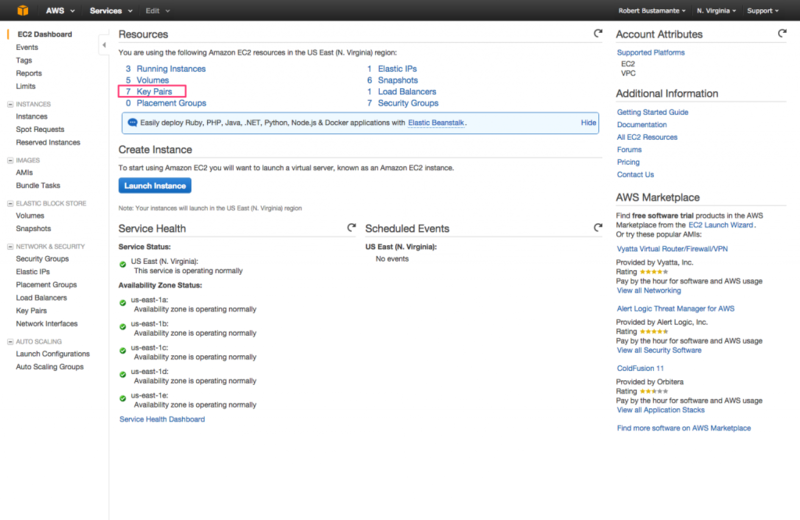 You now have WordPress on Amazon EC2. Now let’s make it easy for everyone else to use also. While you can do everything from the terminal. Why not let your partner, that prefers a GUI interface, to install and update plugins as well. Using this plugin is easier then configuring and securing FTP access. You might have to change the link depending upon the current version of the plugin. 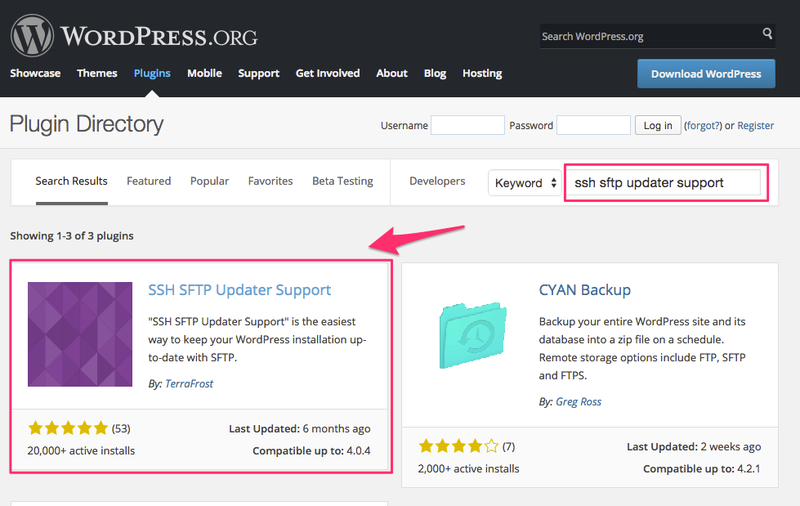 Now you can log into the WordPress admin and activate ssh2 updater. You want to make sure that your apache user has the writes to modify and write the wordpress files. I am not a security expert, so if anyone thinks this is terrible, please feel free to let me know in the comments. To allow apache via WordPress to change / copy files when installing plugins you have to make sure apache has the proper permissions to the files. I change the owner and group of the plugin folder to the apache user. The GUI WordPress installer will now have sufficient permissions to install / remove plugins. After this step the WordPress installation is similar to pretty much any other installation out there. Any user with admin permissions should be able to install plugins and themes. By my timing we are only 3 minutes into this article, so we have time for some extra goodies. What is the point of using AWS if you are not going to use the cloud where possible. One of the best places to leverage the power of AWS is for file storage. By default wordpress and our current install will use the local storage system for all uploads / media. There are a few awesome plugins that allow you to use S3 buckets or even cloudfront to serve all of your media files. To use Amazon S3 to serve all of your images you are going to have to install two plugins. The first is Amazon Web Services, which includes all of the required libraries and then stores your credentials. You configure this plugin by adding a few lines to your wp-config. It is pretty straight forward, but if you have any questions please leave them in the comments. The second plugin required to start using S3 for all of your images is called Amazon S3 and Cloudfront. Configuring this plugin will take a bit more time. 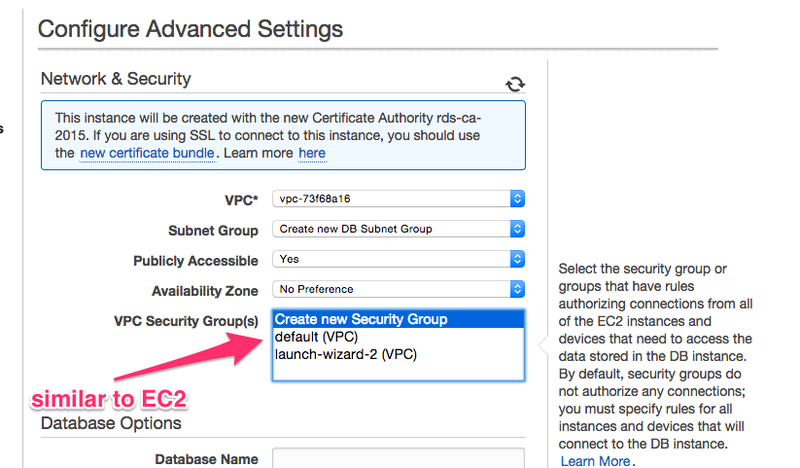 In your AWS account navigate to the S3 service and create a new bucket. You will want to assign a user read and write permissions to the bucket. Once you have created the bucket in S3 you can navigate back into your WordPress install and configure the plugin. The settings are straightforward. The one advanced option that I prefer to turn on is Remove Files from the Server. The main reason is not having to deal with permanent storage on the EC2 instance. Ensuring that all files are stored in S3 makes upgrading or moving the blog pretty easy to do. This is personal preference. Not required. Let me list the reasons that I love Cloudflare. With all of the features listed above, Cloudflare is a slam dunk for me. 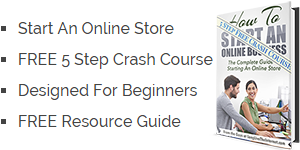 Add the fact that you can get most of the features that you need for free and that makes it a super slam dunk. That is better than just a regular slam dunk right? But seriously, I kept running into situation where I wish that I had used Cloudflare. For instance, one time we were under some kind of botnet attack and I wish that I had Cloudflare setup, instead of having to deal with the attack myself. Trust me, I am ill-equipped. More recently Jon had to struggle through a brute force attack on one of his websites while waiting for all of his traffic to propagate over to Cloudflare’s network. Configuring your WordPress install to use Cloudflare could not be easier. First head over to Cloudflare and sign up for a free account. Take note of your Cloudflare API Key, you can retrieve by heading over to the my settings section in your Cloudflare account and then clicking on view API key. Where is my API key hiding? Then install the Cloudflare plugin for your WordPress site. You will need your domain name as configured in Cloudflare and your API key, which you should have handy. So there you have it. 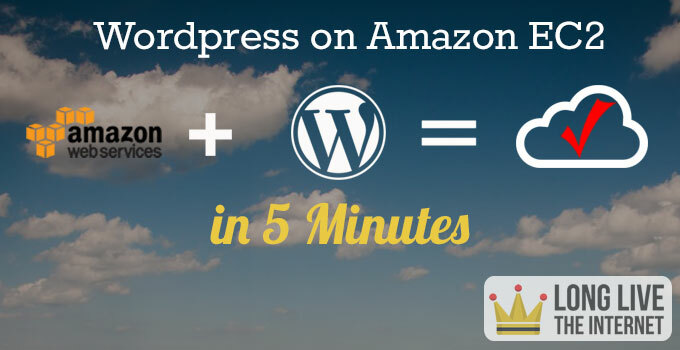 You should now have fully functioning WordPress on Amazon AWS. Hopefully, within five minutes. If you have any questions, or any of the commands I am saying to run don’t work, please leave a comment and I will address ASAP. If you liked this post, you might enjoy my post on how to secure WordPress.